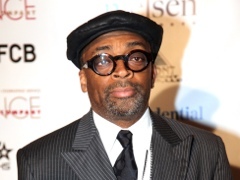 SANFORD, Fla. (AP) — An elderly couple has reached a settlement with Spike Lee after the pair said they had to leave their Florida home after the director help spread a Twitter posting listing their address as that of the man who shot an unarmed teen. The couple’s attorney, Matt Morgan, announced the settlement Thursday. Morgan says Lee called them to apologize for retweeting their address. Specifics of the settlement weren’t disclosed. Reporter Michael Lewis contributed to this story from Sanford. Should gay and straight couples have the same legal benefits?